There’s been a huge upswing in the amount of press that the ‘Zero Waste’ movement and issues around single use plastics receive in the past year, and it’s a conversation that we definitely should be having. With collective consciousness growing about the negative impact our throwaway culture has upon the environment, it seems as though more and more people, myself included, are committing to making changes to their lifestyle in order to reduce the amount of waste we produce. As I mentioned in my last post, my New Year’s resolution back at the start of 2018 was to reduce as much as possible the amount of waste we produce as a family, and that started on the 31st December 2017 when I placed a big order for some cloth nappies! And it’s been a good start! 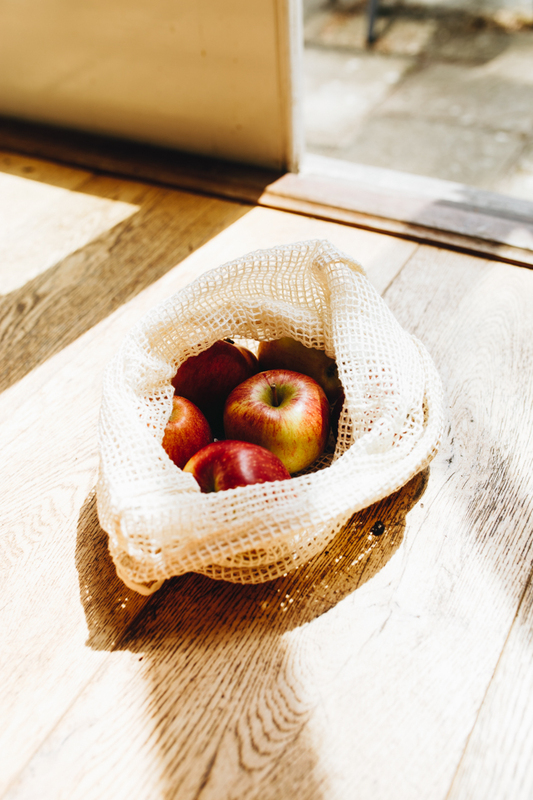 There’s currently a challenge doing the rounds on social media called #PlasticFreeJuly, encouraging us all to take a look at the amount of non-recyclable, non-biodegradable waste we produce and challenging us to cut back in any way we can. And I’m here for it! So I thought today, in honour of the Plastic Free July challenge, I’d share a small round up of the successful ways in which I’ve made changes this year that have reduced the amount of landfill waste coming from our house! We’re by no means perfect- I cringe every day at the large plastic tubs our dogs’ Natural Instinct food comes in (we go through two every 2-3 days!!) and in the toddler/nappy bag juggle I often forget my reusable shopping bags when nipping into the supermarket, but I’m trying. We’re all trying. And that’s all anyone can ask for! 1. Switch to biodegradable or cloth nappies, and biodegradable nappy sacks. I’ve already done a full blog post all about our cloth nappy use, and a few more months down the line they’re still working really well for us! It makes me feel so proud that it’s had such a major, positive impact in cutting down our waste, and it feels good knowing we’re all set with nappies ready for baby number two as well! The only change we’ve made is that we quite often now use biodegradable nappies too, mainly so that I don’t have to rush to get all our cloth ones washed and dried in such a hurry all the time but sometimes also for convience when out and about. We had also gone back to using Pampers overnight as I found that cloth just couldn’t go right through the night without leaking as Ottie got older, but now I’ve discovered how brilliant and reliable biodegradable are, I’m phasing them back out. I’ve tried two brands, Naty and Kit & Kin, and the latter are by far my favourite! But both have great absorbency, take Ottie right through the night with no leaking, and are a really great choice if cloth isn’t convenient. 2. 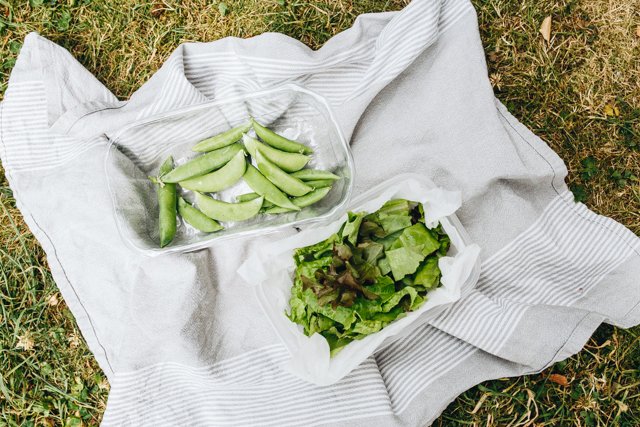 Buy in bulk, and opt for loose produce over pre-wrapped. You can’t even imagine my joy when I discovered the bulk section at my local farm shop earlier this year! With a really decent range of bulk dry goods like oats, rice, grains, dried herbs, and spices, it makes it so much easier to avoid constantly buying plastic, non-recyclable packets of every day staples. They even have little paper bags for measuring your produce out into, which I just chuck into the compost bin when I’m done with them. Perfect! Since most pre-packaged fruits and vegetables are in non-recyclable film packaging I’ve also been trying to buy loose as much as possible, but I find the choice of what’s actually available unwrapped in the supermarket so limited. Again, our local farm shop is the best option (Secrett’s in Milford, if anyone’s in the Surrey Hills area! ), but though the quality of most things is fantastic and I love the huge range of upwrapped produce they have, I do find it significantly more expensive than the supermarket and I can’t get an entire food shop there like I can in say Waitrose or Sainsbury’s. It’s tricky, so I just do what I can, when I can. And see my previous post for a how-to! ;) Instead of buying a loaf that’s often pumped full of preservatives and whatever else and then wrapped in plastic, I’ve been DIYing and loving it. The only ‘wasteful’ part are the sachets of yeast, but I just found that the supermarket sell dried yeast in little fully recyclable tins instead of individual sachets. Win win! 4. Read packaging labels well- children’s snack food is the worst! It drives me bonkers that heading down the children’s snack food aisle, most things come wrapped in several layers of film plastic that’ll be headed straight for landfill once used! I never even noticed until this year that so many of the packets I would buy without thinking in the shops are made from non-recyclable packaging. I do still buy some of the bits that Ottie likes, but try to keep it to a bare minimum and make swaps wherever possible. 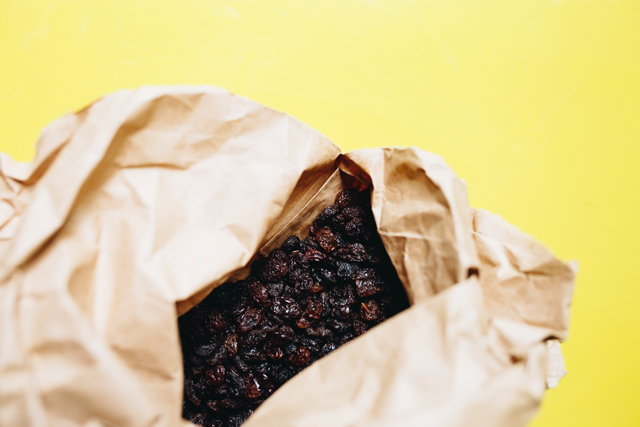 The farm shop does bulk raisins that cost way less than picking up plastic-wrapped multipacks in the supermarket, and I’m trying to find a better alternative to the little packets of popcorn she likes as snacks. Sometimes it’s overwhelming how unavoidable plastic is in the supermarket, but hey. Baby steps! 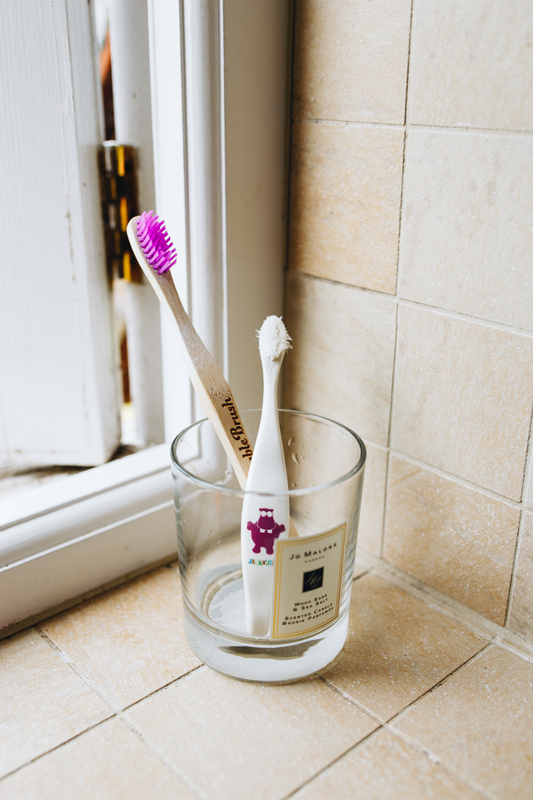 I recently just found a brand of biodegradable children’s toothbrushes from a brand called Jack and Jill, which are lovely and chunky and easy for small hands to manipulate. They’re slightly more expensive than the standard plastic ones in the supermarket, but I’m happy to pay a little extra knowing they’re not going to end up littering a beach somewhere! For myself, I use a bamboo Humble Brush! Again, fully biodegradable and bamboo has natural antibacterial properties which is a bonus too. I love it, but Jason can’t stand the texture of the wood whilst brushing his teeth (it does feel a bit odd at first) so prefers to stick to a regular plastic one. 6. Carry a water bottle. 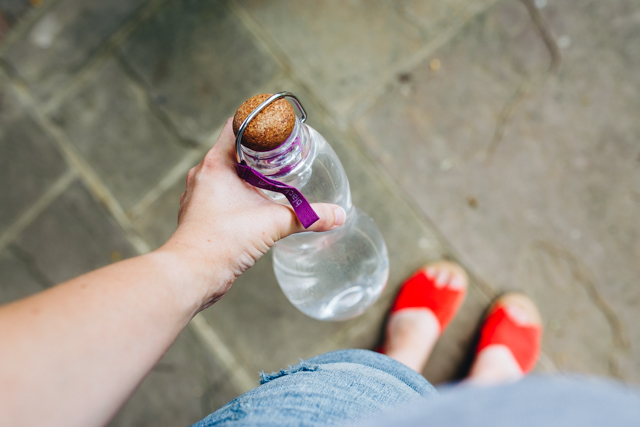 This seems such an obvious one, but I’ve finally got into the habit of carrying my water bottle with me everywhere I go, and it makes me realise quite how often I would get thirsty when out and about and end up buying bottled water. And never more so than in the middle of a heatwave like this, and with a whole extra person hanging off my front!! I bought this Black + Blum charcoal bottle in TK Maxx a couple of weeks ago, and it’s so light and easy to carry around. And with another couple of months of summer left to go and then the inevitable insatiable breastfeeding thirst on its way later this year, I can see it becoming my most used purchase of 2018! It’s become a bit of a running joke in our household now that before Jason throws anything away now, he always turns to me and says ‘do you want this for anything? !’ I’ve become a tad obsessed with washing out and squirrelling away empty jam jars, if we ever have a takeaway I save all the plastic tubs that our food comes in to use as Tupperware (they’re the perfect size for small toddler portions or keeping veggies from the garden fresh! ), and even things like the zip lock bags that frozen berries come packaged in at the supermarket I wash up and reuse for storing homemade bits in the freezer! I think my most successful ‘upcycle’ though this year has been empty plastic berry tubs as seed trays! The plastic tubs that blueberries and raspberries come in are just the perfect depth and size for filling with compost and sowing seeds into, and 9 times out of 10 have drainage holes already built into them. I’ve got dozens of them kicking around now, and they’ve been helping keep my garden filled and flourishing all season long! And last but not least, of course I have to champion growing your own as a way of reducing waste! 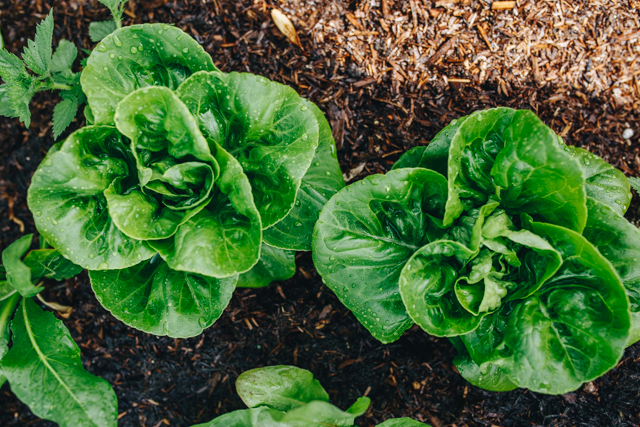 I think it can be especially valuable to grow things like lettuces, which so often come wrapped in wasteful plastic packaging AND can be quite expensive in the supermarket too! Jason and I eat lettuce from the garden every single day now, and with just £3 worth of seed we’ll have a season-long supply. 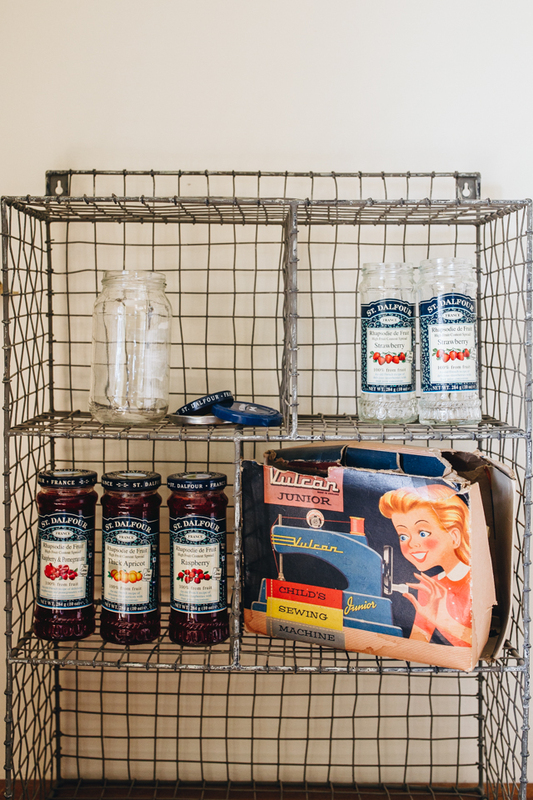 Even in a very small space it’s possible to grow plenty of food, and you can pick up cheap ‘up-cycled’ containers by giving your local wine shop a call and seeing if they’ve got any old wooden wine crates for sale! Last year I picked up three decent sized ones for £5 per crate in our local Majestic, and the money is donated to charity. My only major, MAJOR bugbear with gardening is the tide of waste plastic that comes in the form of empty compost bags. I dread to think about the amount we’ve gone through this year, and though I’m saving them to use as bed covers over the winter and weed suppressants for the pathways in the veg patch next year, it’s still a horrendous quantity of plastic that I’m not certain is recyclable. All in all, I’m by no means perfect, but trying makes me feel good! It can feel overwhelming, and let’s be honest, quite costly at times trying to avoid plastic and make more sustainable choices in our day to day lives, but I truly believe that it’s an investment in the future of our beautiful planet. Getting started with cloth nappies! I’ve posted a fair bit online recently about my aim to live a more environmentally conscious lifestyle. In fact, it’s my one and only 2018 resolution! And as part of that resolution, I’ve decided to take the plunge with cloth nappying. I recently read that each year, enough disposable nappies are thrown away to circle the Earth 80 times over. A disposable nappy is thought to take between 200 and 500 years to break down, and in the UK alone, 8 MILLION disposable nappies are thrown away each DAY! These facts, and the realisation that the disposable nappies I wore as a baby won’t even have degraded yet, shocked me so much that I figured enough was enough. Time to make a change! It’s something I’ve been toying with the idea of doing for at least six months now, but it took me such a long time to get brave and go for it! I’m sure for lots of parents, and definitely for me anyway, switching to cloth nappies felt like a very daunting step. With possible downsides like factoring in another daily chore, the upfront expense, the potential for leaks, and having to get more ‘up close and personal’ with the contents of your child’s nappy (not to mention the time it takes to decipher all the lingo and jargon when working out what to buy! ), it’s a whole new level of parenting I wasn’t quite sure I was brave enough for! But after approximately a billion hours spent researching types and brands of cloth nappies, watching YouTube reviews, asking for advice on my social media channels (thank you to all the sweet Mamas who’ve given me help! ), I’ve done it! Ottie’s been in cloth full time for around a week now and so I thought I’d write up a ‘first impressions’ style post, as well as some consolidated tips of my own from everything I’ve learnt through all my research! So let’s go! First up, let me talk to you about the brand I chose, and why! We’re using the BumGenius v5 Pocket Nappies, which come incredibly highly recommended both from friends who’ve used them, fellow Instagram Mamas, and via online reviews! A pocket nappy is a nappy system in which absorbent pad/pads of material (in this case, microfibre) are inserted into the space between the waterproof outer layer (that’s the coloured or printed part), and a soft cotton layer that sits against baby’s skin. 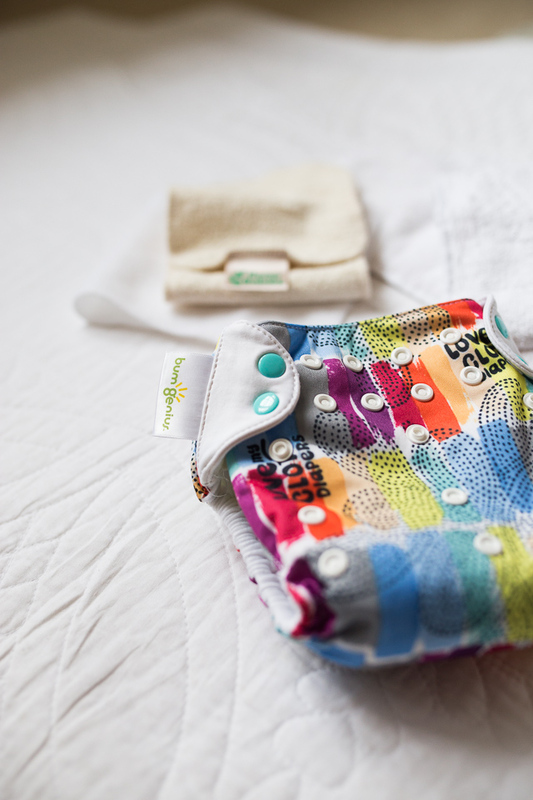 The pocket can be stuffed with a single or multiple fabric pads (to provide extra overnight absorbency for a long stretch of sleep), and then when the nappy has been worn the pads are removed, both parts are washed, and then can be hung out to dry. So far, I’m absolutely thrilled with them! We’ve had no major leaks at all, only two incidents of a slight dampness right at the edge of Ottilie’s vest- once when she’d been sat in her carseat for a long time and had been in the same nappy for a little over 4 hours, and once overnight when she’d worn the same nappy for 13 hours and drunk a lot right before bed. - Ease of use: once the pocket of the nappy has been stuffed, it goes on just like a disposable would- all in one piece, with no faffing about using clips or pins or multiple nappy parts! - Popper closure rather than velcro: time and again I read that nappies with velcro tend not to be as long lasting, since they degrade in the wash and get loaded up with lint and lose their ‘stick’. Even changing a wriggly toddler, poppers have been super easy so far. - Good looking nappies: I had previously ordered a few of a cheaper brand of nappies, (‘Sandy’s nappies by Motherease) and when I tried them on Ottie they were laughably huge and bulky, even when bone dry! Cloth nappies are always going to be slightly bulkier than disposables, but BumGenius are a very slim fitting cloth nappy and though I have bought a couple of new, slightly roomier bottoms for her, they do fit under all Ottie’s regular clothes. Plus I love the nappies’ cute colours and prints! 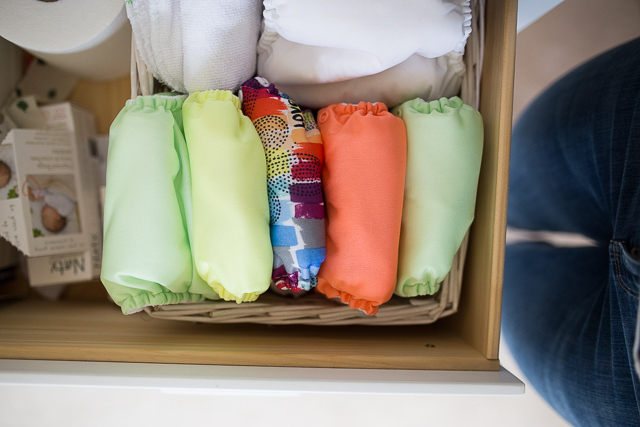 - Quick to dry: being able to pull out the absorbent inserts and hang them on a line all separated out cuts down drying time such a lot, important given that it’s not recommended to use a tumble dryer on cloth nappies. Some types of cloth nappies can take 18+ hours to dry, whereas these are washed in the evening, hung out around 9-10pm, and are dry by the morning. 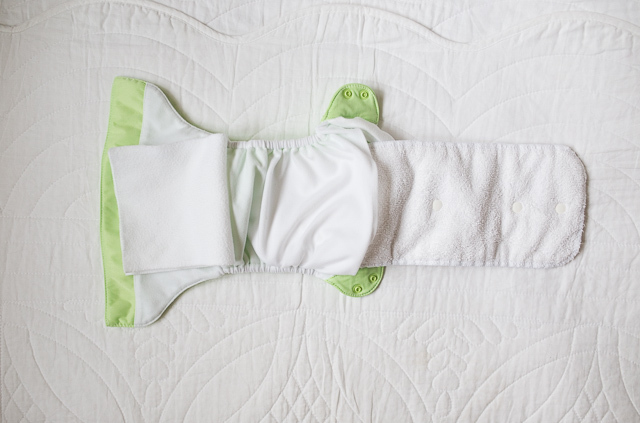 - One size fits most: the adjustable popper system make these nappies fit from around 8lbs, to 35lbs. The other brand of nappies I originally bought ran from 18lbs up, so I would have had to buy a whole new smaller set for any future babies. 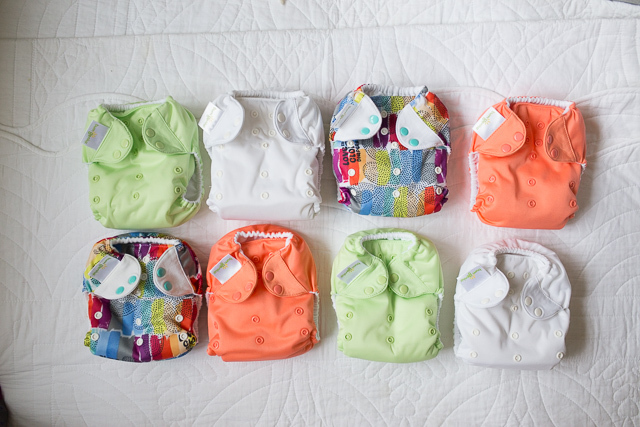 12x BumGenius pocket nappies: £217. I ordered two sets of BabiPur’s ‘Five for £89′ offer, plus two extras. I’m planning on purchasing a couple more as backups for when I’ve been late to hang the nappies out after washing and they’re not quite dry come the morning when I need a fresh one, but we’re getting on fine with 12 for now. We tend to change her every 3 hours or so in the day, and so use around five over a 24 hour period. Of course, with a younger baby you’d be looking at roughly double this amount of nappies needed! This acts as an extra layer of absorbency for nighttime, and gets inserted into the pocket along with the BumGenius microfibre pad. To be honest, I only really needed to buy three of these as I wash the nappies every other day. Liners are laid inside the nappy to catch any poo. The benefit of a disposable is that they can be either flushed (though we don’t) or put into biodegradable nappy sack and binned. The downside though we found is that they tend to get all scrunched up and poo still ends up on the main part of the nappy (not a problem, but kind of defeats the object of the liner) but more importantly I found they got sodden quite quickly and then sat damp on Ottie’s skin. I can’t imagine it’d feel very nice, so we’ve switched mostly to washable fleece liners. These are a bit more ‘yuck’ to clean after a poo (we tend to sluice them off in the (clean!!) toilet, honestly not horrible to do but of course more of a faff then lobbing a rolled up Pampers in the bin!) but feel so nice and soft and add a ‘stay dry’ layer against baby’s skin inside the nappy. T H E D O W N S I D E S ? You can’t just throw them on and forget about them in the way you do with a really decent quality disposable, because I just don’t think they’re as absorbable as, say, Pampers Baby Dry. I just used to change Ottie when her nappy felt a bit heavy before, whereas now it feels like I’m changing far more frequently. Not a bad thing, but worth thinking about! Does it save money? I’m sure it does, but disposables are SO cheap to buy (until Ottie was around 8 months we used Aldi, which were dirt cheap!!) that the cost is so spread out it might feel more affordable to use disposables. Long term I’m sure the saving is there with cloth, but it feels like a luxury to be able to blow £300 up front. There are cheaper cloth alternatives of course- I just chose what felt like the best option for us. M Y H O N E S T T H O U G H T S ? It’s way, way easier than I expected! Not the disgusting, poo up to your elbows kind of situation I feared, but actually incredibly simple and a lot more ‘clean’ than I could’ve imagined. They don’t smell bad at all, when it comes to washing them I simply unzip the top of the waterproof laundry bag and empty them all out into the machine, and they’re away! And despite what I mentioned about the cost, I don’t feel as though it’s been too bad- coming in at slightly under £300 is pretty good! I hope that with careful washing, drying, and use, we’ll be able to use these on future children once Ottilie is finished with them, of course supplementing with extra nappies during the newborn stage. All in all, I absolutely love it! 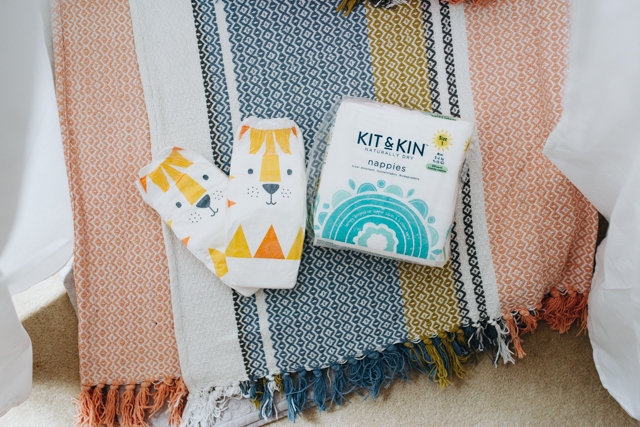 Love the feel good factor of knowing I’ve cut down our waste an incredible amount, love the sweet prints and colours (we have a couple of bright red and purple nappies too, which are so cute), love how effective and simple the nappies are. To anyone deliberating about it, I’d say go for it if you can! 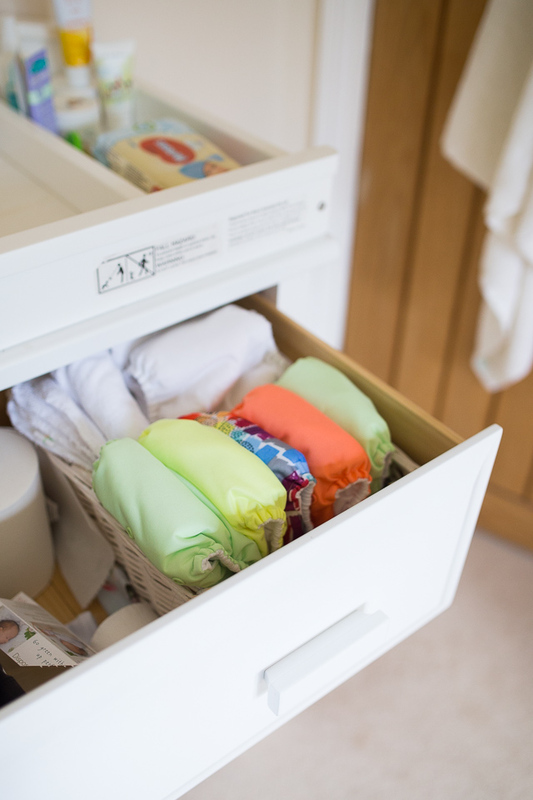 Buying a couple of tester nappies in different brands and styles can be helpful, and TheNappyLady is a brilliant place to go for free bespoke advice. If you got to the end of this mammoth post, you’re a hero! Thanks for reading, and I hope it helps!